A&M/Big Bob’s Fan Assistance Booth - Sign up for contests, enter group drawings and pick-up the latest Falcons information at the A&M/Big Bob’s Fan Assistance Booth located on the north concourse at Save Mart Center. Bouquet of Fruits Sweetheart of the Game - Sign up your sweetheart to be the Bouquet of Fruits Sweetheart of the Game. One lucky sweetheart will be chosen to receive a giant chocolate caramel fuji apple courtesy of Bouquet of Fruits. Sign up to win at the A&M/Big Bob’s Fan Assistance Booth located on the north concourse at every Falcons home game. Bud Light Super Fan - Presented by Bud Light, the Falcons will select the craziest and most outrageous fan at every Saturday game, who will win a Bud Light Hockey Jersey. Carl’s Jr. Power Play - If the Falcons score on the power play, every fan will receive a coupon as they leave the arena for a free western bacon cheeseburger from Carl’s Jr.
Clovis Custom Detail Dirtiest Car in the Lot - Once a game the Falcons will pick the dirtiest car parked in the Save Mart Center parking lot. If we announce your license plate number over the arena PA, you’ve won a car detailing from Clovis Custom Detail. All you have to do to win is park at the arena (and not wash your car beforehand, of course)! Exclusive Sounds Three Stars of the Game - There is a long-standing tradition in the sport of hockey that at the conclusion of each game the most outstanding players are recognized as the First, Second and Third Stars of the Game. Right after the final buzzer the Exclusive Sounds Three Stars of the Game will be announced. So stick around to see your favorite players return to the ice for an encore and throw a t-shirt into the stands for a lucky fan! Fashion Furniture Best Seat in the House - Presented by Fashion Furniture, two lucky fans can enjoy watching the game from a pair of extra plush recliners right at center ice. To win the chance to sit in the “Best Seats in the House,” sign up at Fashion Furniture located in River Park behind Bed, Bath & Beyond. Jiffy Lube Chuck-A-Puck - Test your throwing accuracy and take a shot at winning $200 cash courtesy of Jiffy Lube. Purchase a foam puck for only $1 or six pucks for $5 and during the second period intermission, chuck your puck toward the Jiffy Lube target at center ice. If you land your puck on the center spot, you’ll win $200 cash, a $20 gift certificate to Jiffy Lube and a t-shirt. 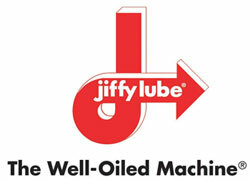 Anyone landing their puck on either of the Jiffy Lube logos wins a free t-shirt. 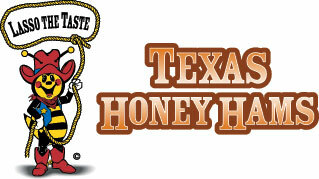 Texas Honey Hams Saturday Night Sandwiches - One lucky fan during every Saturday home game will win a party platter of sandwiches courtesy of Texas Honey Hams. Tony Roma’s Post-game Parties - Join the Falcons players after select Friday home games at Tony Roma’s, the Falcons’ Official Post-game Party Headquarters. The Falcons will be at the Tony Roma’s located at the southwest corner of Cedar and Shaw Avenues after the following games: Oct. 29, Nov. 5, Nov. 26, Dec. 10, Dec. 17, Jan. 7, Jan. 28, Feb. 18, Mar. 4, Apr. 8. Other Falcons in-game promotions include Hamster Ball Races, Giant Bowling, Tuesday Night Tilts featuring the Hooters Ring Girls and Frozen T-shirt Contest.